Tuesday Teaser: Can you guess this sofa and loveseat? Spring cleaning: it’s not just for your junk drawer! We’ve been getting rid of the old, and bringing in the new products at American Freight. Click here to check out all our fresh additions in one place. We have cheap deals on brand new sofas, loveseats, sectionals, recliners, motion furniture (including manual motion and power furniture), bedroom sets, most mattress sizes, home accessories, and dinette sets. Today we’re focusing on one of our new faux leather pieces as this week’s Tuesday Teaser. 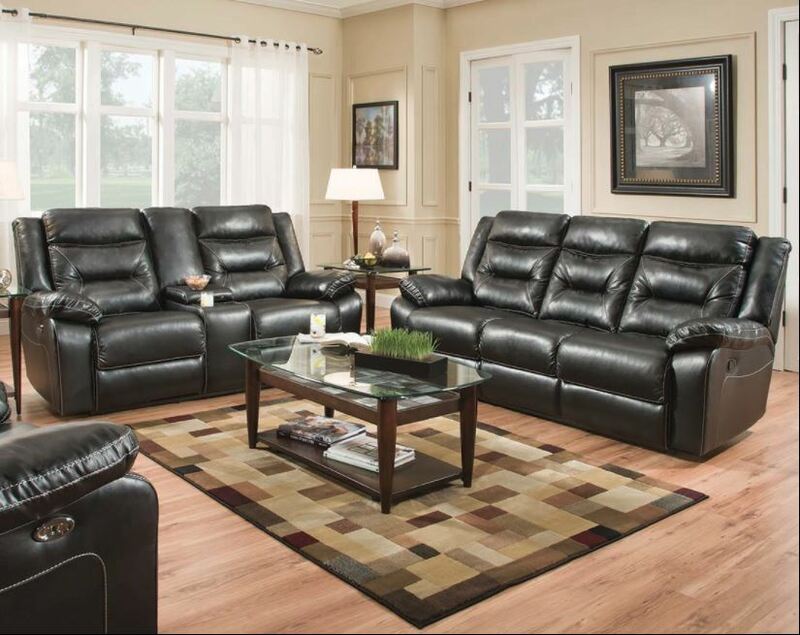 Can you guess which black sofa and loveseat this is? Think you have it solved? Comment below! Click here to go to the product page and check your work! Don’t miss trends and tips! Sign up for the blog here. Nailed it! Nailhead trim is in. Learn more here. Click here for info on our devotion to motion furniture.